This was a difficult year to nail down a top five list because I’ve been watching less anime, but the anime I have watched has all been excellent. Years where I watched a ton of shows allowed the gems to really stand out, but it is much harder to pick out gems among gems. I wonder why 2013 was a year I watched only a handful of good shows. Am I becoming a better judge or more careful of what media I consume? Was the gap between excellent show and bad show wider this year with no middle of the road shows to buffer the extremes? Whatever the reason: We got a lot of good anime this year. Here are five you should definitely check out. 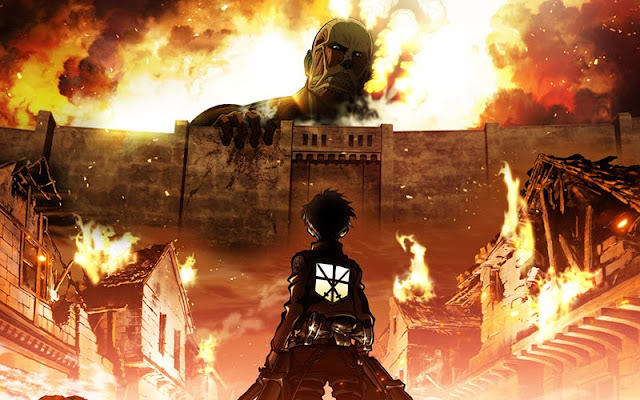 Attack on Titan has the potential to be one of the biggest anime in a long time, mainly because it constantly remains interesting. Every few episodes it tosses in a twist that reinvents the entire show; twists that lesser shows would run with for season long arcs. It’s exciting, has good characters, a solid premise, and a great pace that makes me want more almost constantly. More importantly: The anime greatly improves on the art of the Manga. We still have a long way to go before the end but Attack on Titan is a solid first part of the story and I can’t wait for the next season. Billed as a comedy, Watamote is more of an extreme character study of a person with severe social anxiety. We follow Tomoko as she attempts to live a normal high school life but constantly fails and falls deeper and deeper into her shell. There are some moments of dark comedy in the show but, frankly, anyone who would laugh at most of the show is cruel. It turns into a depressing look at the life of a person who just doesn’t know how to relate to other humans. We’re locked inside Tomoko’s head and forced to go along with her as she deals with and sometimes justifies her isolation. There is a deeper connection the show makes with anyone who has suffered from social anxiety. 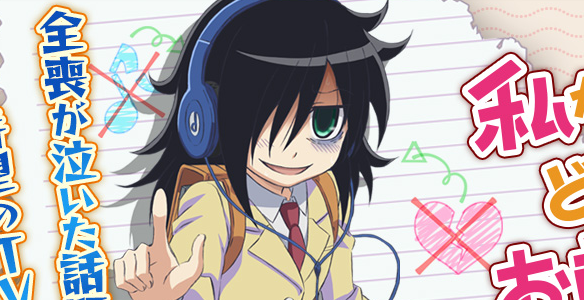 Few people in the world are as bad as Tomoko but with her problems being so numerous it serves to cast a wide net and allows for the maximum percent of the audience to relate to at least parts of her problems. I loved the show as a way to dive into these issues but be warned, the second half of the series becomes extremely uncomfortable to sit through. Taking place in a post-apoctolyptic world where a much smaller human population has learned to live with psychic powers, From the New World is a compelling narrative that keeps the audience guessing. It features weak characterization, which kept it from claiming the top two spots on the list, but the moral questions the show deals with forces the audience to constantly struggle with that they would do in the character’s situation. As the narrative develops the characters, who we follow from childhood, they slowly learn how their society works and things that seem horrifying become an understood part of their society as they grow older. This structure makes From the New World into a twenty-five episode long course in relative morality. It’s an accomplishment that will haunt the audience long after the credits roll on the finale. The first episode of Eccentric Family almost turned me off from the entire show. It features a very slow, expository narrative style that establishes the key characters and setting of the show. 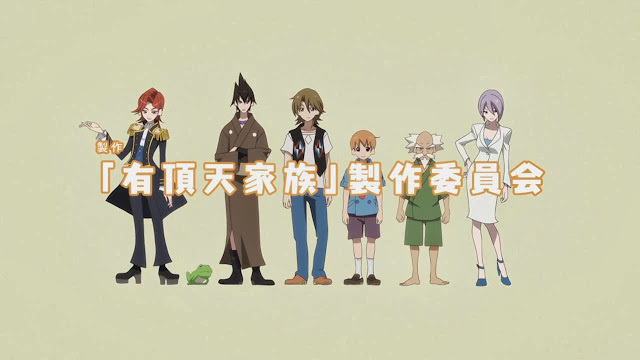 After that first episode we’re trust into the world of Eccentric Family where we get to live with the characters and watch them deal with their everyday conflicts. The show tackles issues from the necessity of keeping up appearances to the feeling of living on after a family member has passed. The Eccentric Family is a triumph because of how much fun spending time with the characters ends up being. I could watch these characters do anything. 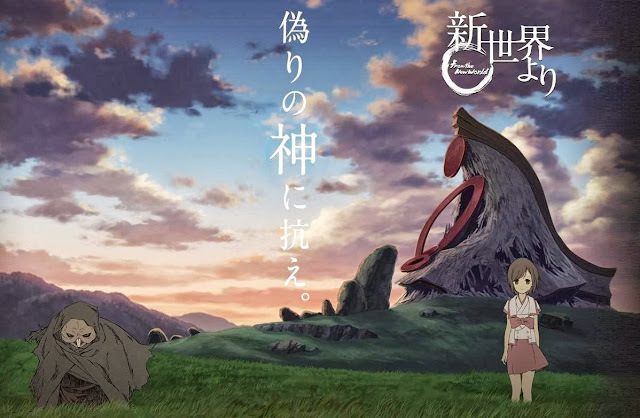 Combine that with a simple mixture of mystery, conflict bxcetween rival families, Japanese mythology, and an exploration of personal life philosophy and Eccentric Family is an obsolete joy that also deals with some serious life issues. So maybe I’m cheating a little bit. Maybe I just want more people to watch Chihayafuru. Well, more people should watch Chihayafuru. Season 2 picks up where the first one ended and features more detail on the characters experience going through a Karuta tournament series. While I think this second season is less of the perfect blend of popular anime tropes that the original exceled at, it digs deep into the core themes it wishes to explore. Chiefly: the difference between individual accomplishment and ability against working in a team. Though this theme we get to see the talents of all our favorite characters explored in depth, we get into the heads of the untouchable Karuta champions, and we see our heroine strive to reach the peak of her ability in two very different competitions. 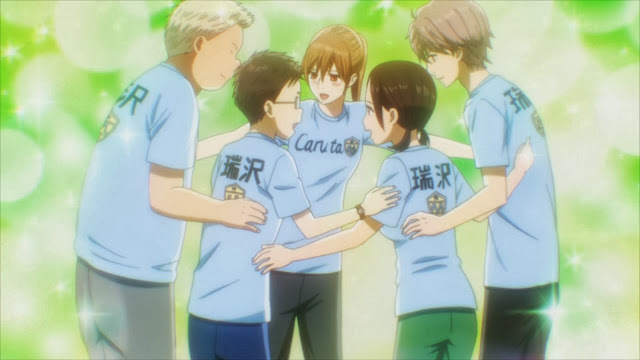 Chihayafuru 2 is half just more of what was so good about the first season and half going so much deeper into all of the characters while they are in some of the most stressful and intense moments of their lives. Everyone should watch Chihayafuru, if not for the characters or the strange thrill of a Karuta match than just to explore this odd bit of Japanese culture not often touched upon outside of Japan.